(CNN) - One third of United Nations staff and contractors feel they were sexually harassed in the last two years, according to a new UN survey. Only 17% of eligible employees replied to the survey, but the results are still striking. UN Secretary-General António Guterres, in a letter to staff, wrote that "the report contains some sobering statistics and evidence of what needs to change to make a harassment-free workplace real for all of us." The online survey, conducted by accounting firm Deloitte in November, was answered by 30,364 people from the UN's sprawling system. More than half of those who reported they had been sexually harassed said it happened in an office environment, while nearly three quarters said their immediate supervisors demonstrated "zero tolerance" for sexual harassment. The report said 21.7% reported they were subjected to sexual stories and offensive jokes, while 14.2% said they had been subjected to "offensive" remarks about their appearance, body, or sexual activities. Thirteen percent said they were targeted by unwelcome attempts to draw them into a discussion on sexual matters and 10.1% said they were touched in a way that made them feel uncomfortable. The survey coincides with the #MeToo movement, which seeks to highlight and oppose sexual harassment, abuse and assault around the globe. Guterres, in his letter to staff, said the response rate was "moderately low," which he said shows that "we still have a long way to go before we are able to fully and openly discuss sexual harassment." The UN chief said the low response rate shows "there may be an ongoing sense of mistrust, perceptions of inaction and lack of accountability." The survey said two of three harassers were male. Half of those targeted said the harassers were colleagues. One in four were supervisors or managers. The issue of sexual harassment and abuse has troubled the UN for decades. Numerous high-profile abuses in overseas peacekeeping UN missions have shocked both the public and UN staff. Just last June, the leader of the UN AIDS agency stepped down from office after being accused in a report of "tolerating a culture of harassment, including sexual harassment, bullying and abuse of power." The new report, released Tuesday, said it has identified perceived gaps in the tone set by senior managers, and supervisors. It suggests UN entities take a more proactive approach in setting standards for respectful behavior through workplace civility and training programs. 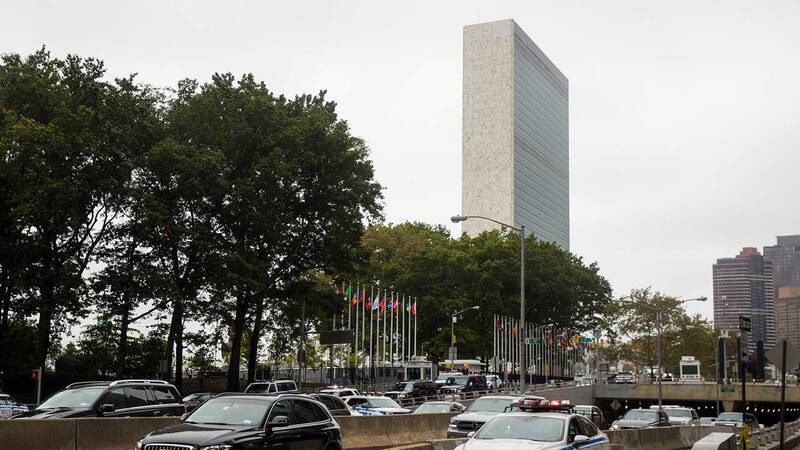 But those suggestions stop short of addressing the most pressing problems regarding accountability and abuses of power at the UN, a union official said. "We believe that focusing on sexual harassment, the tip of the iceberg in terms of prohibited conduct at the UN, avoids discussion of other types of abuse of power and prevents accountability at senior levels," said Ian Richards, president of the Coordinating Committee of International Staff Unions and Associations.